Our Christmas dinner from 2011 was themed Austen and Dickens. The recipe on this page was the dessert: trifle. An enjoyable dish to prepare, but a veritable mountain of sugar and liquor at the close of the meal. The dish can be prepared almost completely in advance; all you have to do at the last minute is decorate it. The recipe for this trifle is from the Book of Household Management, written by Isabella Beeton (1836-1865). She contributed articles on fashion and cookery to The Englishwoman’s Domestic Magazine, one of her husband’s magazines. Soon she realized that women from the new urban middle class were in need of advice concerning the running of a household. Today her popular book is a symbol of Victorian life and cooking. More information about the person Isabella Beeton can be found at Wikipedia. 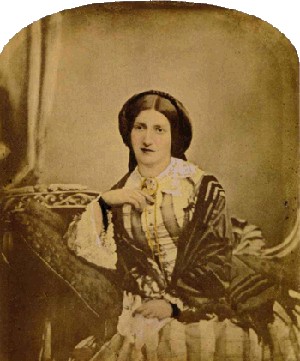 In 2006 the BBC broadcasted a film about her: The secret life of Mrs Beeton. The very first version of the Book of Household Management was published in 24 monthly instalments from 1859 to 1861 by her husband Samuel Beeton’s company. The first bound edition also appeared in 1861. Right from the start the book was a great success but Isabella could not enjoy it very long. She died in 1865, only 28 years old. Her widower had more bad luck: because of financial difficulties he was forced to sell the rights to the book. In the twenty-first century the Book of Household management is still popular. New facsimile-editions are published at regular intervals. The one in my possession is from 2000, without the coloured engravings but with the hundreds of small illustrations which appear throughout the book. The text is available online, see the Bibliography below. As the title already indicates, the Book of Household Management is more than just a cookery book. “Men are now so well served out of doors, –at their clubs, well-ordered taverns, and dining-houses, that in order to compete with the attractions of these places, a mistress must be thoroughly acquainted with the theory and practice of cookery, as well as be perfectly conversant with all the other arts of making and keeping a comfortable home”, Mrs.Beeton writes in her introduction. So, apart from information on ingredients and cooking pots and recipes, you’ll also find advise on how to behave (“Friendships should not be hastily formed”), how to treat your domestic servants, how to raise your children, treat diseases, prepare medicines and an explanation of ‘legal memoranda’. Just as long as the master of the house is comfortable! It sounds so light and airy, trifle. But ‘light’ is not quite the effect of this dish! It is a rich, heavy dessert that tastes so good that even after an extensive meal you’ll love to eat at least a small portion of it. The recipe for trifle ends with an estimation of the cost: five shilling and sixpence. Today that would be about 18 euros (I am Dutch) or a little over 15 GBP (that is, if I have understood the conversions, so many caveats here – I used 1 2). Anyway, this was and is not a cheap dessert. 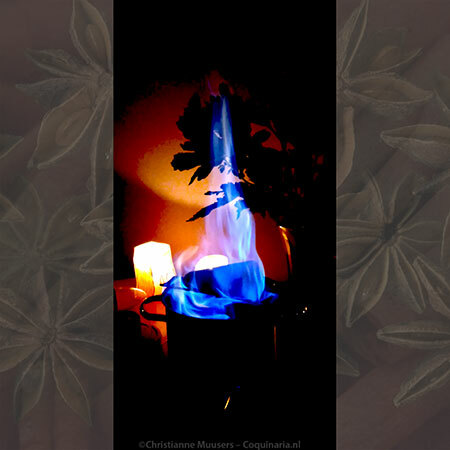 When I bought the ingredients in September 2013 it cost me around 14 euros (12 GBP). And I already had brandy and cream sherry in the cupboard. If you also have to buy a bottle of those, the cost will be a lot higher. From the first edition of Mrs Beeton’s Book of Household Management (1861). The recipe for trifle is #1489 (p.750). The recipe for sponge cake is on a separate page. 1489. Ingredients — For the whip, 1 pint of cream, 3 oz. of pounded sugar, the whites of 2 eggs, a small glass of sherry or raisin wine. For the trifle, 1 pint of custard, made with 8 eggs to a pint of milk; 6 small sponge-cakes, or 6 slices of sponge-cake; 12 macaroons, 2 dozen ratafias, 2 oz. 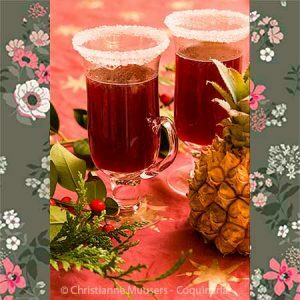 of sweet almonds, the grated rind of 1 lemon, a layer of raspberry or strawberry jam, 1/2 pint of sherry or sweet wine, 6 tablespoonfuls of brandy. If you want to prepare trifle à la Beeton you’ll have to bake a sponge cake and two kinds of almond cookies, and prepare a whip and custard. And if at all possible, use your own home made summer raspberry jam! If you want to serve the trifle during the summer, of course you can also use fresh fruit instead of preserves. You do not prepare a trifle as much as build it. That is why this adaptation starts at the end, with the ‘composition’. The preparation of the components is described below that. TIP – Read the whole recipe through before you start. The end result – Trifle! The great thing about trifle is that it gets even better when it is prepared a well in advance. So my advice is to build up the trifle before you start preparing the rest of the menu, and leave it in the refrigerator until the moment of serving. You can cover the dish with plastic foil, but the whip on top will get flattened. Alternatively, cover the dish with a bowl (upside down of course). A good modern dish to serve trifle in is a round or square clear glass dish with straight sides so you can admire the layers. The cookery book of Mrs Beeton shows a dish on a high pedestal. That will never fit in a refrigerator, but you could keep it in the cellar or a shed (especially during winter). Just as long as it can’t be reached by hungry or curious animals. Rich, heavy dessert for 8 to 12 persons (depending on what was served before); preparation in advance 1 hour; preparation 15 minutes. (Not counting the time needed for preparing the sponge cake, the whip and the almond cookies of you bake them yourself). Slice the sponge cake, break the macaroons and ratafias in large pieces. Cover the bottom of the serving dish with cake and cookies, and sprinkle sherry and brandy over it. Let this stand for one hour, then scoop out any liquor that has not been absorbed (or not). Put the grated lemon peel and roasted almond slivers on the drunken cake and cookies. Scoop the fruit jam over it in a thin layer. Then add the custard. Finish with the whip, using a spoon or an icing syringe. Cover with plastic foil or an upside-down bowl and place the trifle in the refrigerator or outside if the outside temperature is cold enough. Let the trifle ‘ripen’ for at least a couple of hours. Serve well chilled. All you have to do just before serving is add the decoration on the whip. And then: enjoy! You can prepare a classic egg custard, or use Bird’s custard powder. Since Bird’s has been on the market since 1837, this will not be an anachronism. Prepare about one litre (4 cups) custard. Actually, whip is an abbreviation of whipped syllabub. 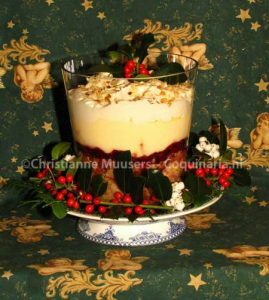 In the sixteenth and seventeenth centuries syllabub was prepared by either spritzing a jet of milk straight from the cow’s udder into a mixture of sugar, wine and cream, or pour the milk from a great height slowly into that mixture. To generate even more froth, the syllabub was whipped. In the eighteenth century egg whites were added to add firmness to the froth. By draining the froth for a while it became as firm as whipped cream. This developed into a separate dish, but could also be used as garnish for a dish like trifle. 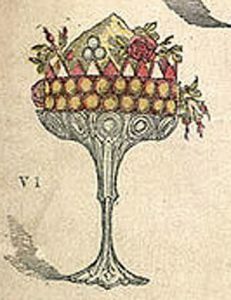 Ivan Day wrote an article on this in the British periodical Petits Propos Culinaires as a reaction to an experiment described by Vicky Williams in an earlier item of PPC, and on his website you can find a wealth of information on this dish, with pictures of beautiful original syllabub glasses (see bibliography). 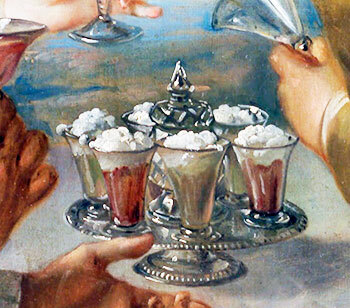 Below a detail of the painting Taste by Philippe Mercier (ca 1690-1760), with a set of syllabub glasses on the table. Take care that not a trace of the egg yolk or any other fat contaminates the egg whites. Beat the whites stiff, spoon in sugar, cream and sherry, and beat again. Spoon the froth off the remaining liquid in the bowl; place it in a sieve in the refrigerator (with a bowl underneath). Leave it for the night. Use it the following day. 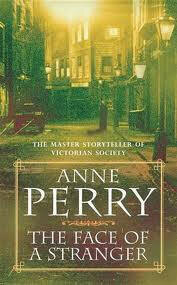 Anne Perry writes historical ‘whodunits’, playing in different periods. The series with inspector Monk begins in 1856, the recently published latest instalment (Blind justice) plays in the year 1864. (See Bookdepository.co.uk). The series with inspector Pitt begins in 1881, and the completed World War I-series of course has the Great War (1914-1918) as backdrop. As you can see, I am a fan and recommend these books thoroughly! I have no idea what the situation is outside of my own country (The Netherlands), but here Bird’s Custard is difficult to come by, although not impossible. Easily available is Dr.Oetker custard powder. This has an extra colouring agent (beta-carotene, maybe cheaper than annatto? ), and has a rather ovewhelming artificial vanilla flavour. The original Bird’s Custard is more subtle in taste. Isabella Beeton, The Book of Household Management, S.O. Beeton, London, 1861. [Cassell, 2000] Online text without illustrations at Gutenberg. Books of and about Isabella Beeton on Amazon.co.uk or Amazon.com . Ivan Day, ‘Further musings on syllabub, or Why not ‘jumble it a pritie while’?’ in Petits Propos Culinaires 53 (1996) pp.33-44. Helen Saberi and Alan Davidson, Trifle. Prospect Books, 2001, reprint 2009. Vicky Williams, ‘Musings on syllabub, or Couldn’t Charles II smell it?’ in Petits Propos Culinaires 52 (1996) pp.51-54. This recipe from mrs Beeton from the 19th century is a delicious and very filling dessert.